It’s disheartening to think how many times I’ve been asked this question since I converted to Islam. However, given my own misgivings towards the status of women in Islam before I became one myself, I’m not completely surprised that some people think calling myself a Muslim Feminist is akin to being a meat-eating vegan. When the majority of Media representation shoehorns Muslim women into either victim or terrorist categories, persuading people that my feminist convictions are given wings by my Islamic faith, as opposed to being clipped by it, is going to be tough. Feminism and faith have always been closely linked to one another in my mind. I was raised in a household where both of my parents were Protestant ministers and considered equals in their spiritual leadership roles as Salvation Army officers. I was surrounded and greatly influenced by women leading prayers, congregations, and even heading up the church on a national and global scale. Women leading the way in faith has always been my norm. So when I converted to Islam, I found myself at the receiving end of the question: why would you give all that up? When I became a Muslim, I didn’t shut out the voices of my Christian friends but rather opened myself up to new voices from the Muslim community, or ummah. Rather than losing something, my network of friends and acquaintances has been enriched by a multitude of gutsy Muslim women from around the world whose activism covers a wide range of areas, from politics to sport, as well as specific issues within the ummah, such as appropriate mosque spaces for women, internal racism, and discrimination against LGBT Muslims. But when we strip away the cultural and theological differences between Islam and Christianity, are the struggles women go through really so different? Many of the obstacles I observed or experienced as a Christian woman are similar to those faced by Muslim women now, from lack of equal representation to shared frustration that women’s voices are often dismissed. Naturally, these problems vary in degree and manifest themselves in different ways but women of faith in both traditions come up against negative attitudes towards women or Patriarchal structures that attempt to silence or, whether intentionally or as a side effect, inhibit spiritual growth. Religious communities do not operate within an ideological or cultural vacuum. Therefore, interpretation of sacred texts at a specific point in history tends to reflect the prevailing views of that particular society. If a community, or the society at large, allows misogyny to roam around unchecked, then sadly it’s going to find a way into our mosques, churches, or temples. Any negative or prejudiced attitudes that are present have the potential to influence theological interpretation and this can result in practices that engender the unequal treatment of women. These attitudes need to be confronted head on. 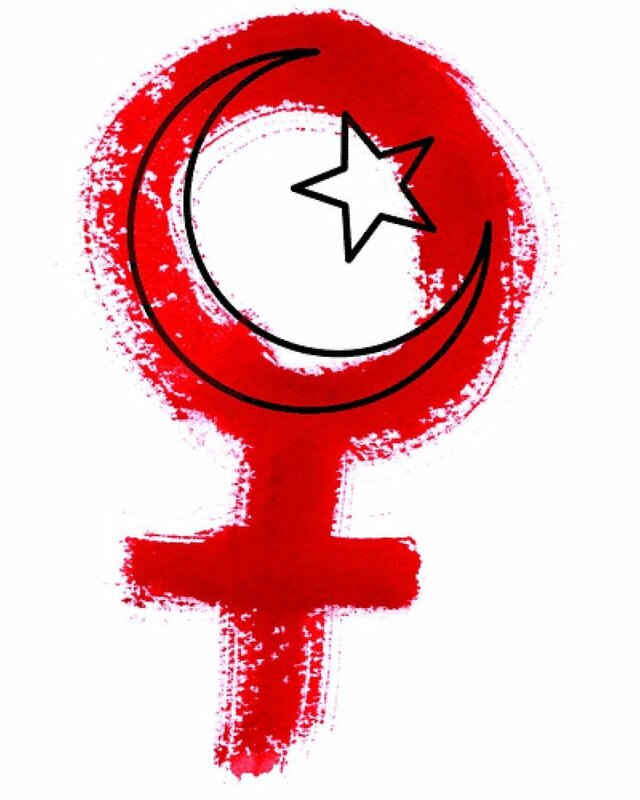 This is where Muslim Feminism comes in because although the essential problems that women of faith encounter are often similar, they need to be addressed within the specific context of that faith tradition. Muslims or Christians cannot simply copy and paste the other religion’s unique brand of Feminist thought onto their historically, theologically, and culturally diverse traditions. Solutions have to grow organically from within. If we merely graft one community’s solutions onto the other, we end up with a mismatch that won’t take root or will be outright rejected because it bears no relation to the needs of that community. Before we’re even able to talk about the broad topic of Muslim Feminism, we first have to address resistance to the word ‘Feminism’ itself among certain members of the Muslim community. As I mentioned before, I understand that many non-Muslims find it hard to get to grips with the concept of Muslim Feminism, but what really shocked me when I converted was the discovery that a significant number of Muslims themselves believe Feminism and Islam to be incompatible. For critics of Islam, it would be easy to assume this reluctance to even entertain the idea of Feminism is proof that Muslims conform to an inherently sexist ideology, however, there are several layers to this issue which have yet to be unpacked. There’s certainly a lot of truth in that final statement. The Qur’an and hadith, the sayings attributed to Prophet Muhammad (peace be upon him), contain striking instances of women receiving rights which were unprecedented at the time in which the holy book was revealed. The Qur’an clearly states that women have the right to inherit, earn a living, choose a spouse, retain their family name, own property before and after marriage, vote, divorce, and the right to education. As for the latter, the Quran actually goes one step further and calls the acquisition of knowledge a duty for both men and women. The wives of Muhammad (peace be upon him) are great examples of women leading the way for the tradition of Feminists in Islam. His first wife Khadijah was a successful business woman in trade and was actually the employer of her future husband. In fact, Muhammad (peace be upon him) was initially hesitant to ask for Khadijah’s hand in marriage since he didn’t have enough money to provide for a wife, but since she had the means to support herself, Khadijah agreed to marry him anyway.His youngest wife, Aisha, was a highly praised scholar who narrated over two thousand hadiths, delivered public speeches, and fought for social change.Then there are prominent figures in later Islamic societies like Fatima Muhammad Al-Fihri who founded a mosque and madrasa in Fes in 859 and Jahanara Begum who took an active role in helping the poor and sponsoring the building of mosques. I sometimes get the feeling however, that these examples of gender equality have, sadly, produced a sort of self congratulatory attitude among certain scholars and lay Muslims (to borrow a helpful Christian term) in the here and now. Focusing on these milestones can result in complacency, a feeling that all the work for gender equality has already been done, which would render Muslim Feminists redundant. After all, if Islam already has women’s rights covered, then it doesn’t need, what is sometimes perceived to be, the Western influence of modern Feminism coming in and disrupting things. This view, however, completely misses the point of what most Muslim Feminists are trying to achieve. Muslim Feminists recognise the rights given to women and seek to recapture the original vision of the Qur’an. This doesn’t mean replicating the society of that time, but using the Qur’an as a template for a society which constantly evolves and strives for greater equality in the age in which we live. To do this, we cannot be passive observers. Women’s rights cannot magically jump out of the pages of the Quran and apply themselves to Muslim individuals, communities, and countries whose laws are influenced to various degrees by Islamic teaching. They have to be actively implemented in present day society otherwise they become meaningless. Likewise, the rights granted to women way back when cannot be used as an defense against sexism and misogyny now. Religious institutions, leaders, and believers have a responsibility to be active vehicles for social justice and to move with the times so that practices remain relevant to those who live out the faith in their daily lives. If they don’t, they run the risk of alienating believers and even turning them off religion altogether. More and more young Muslims, especially women, have been turning away from traditional means of worship in mosques because either they do not feel welcome or they disagree with the messages being taught. This growing trend, in conjunction with the rise of the internet, has resulted in an increase of online faith communities where people can find support and inspiration within a global network. Online faith communities been a great source of inspiration and encouragement for me as a new Muslim living in Italy where mosque scarcity and language barriers mean I am currently unmosqued. By searching online, I discovered and became part of an active and vocal community of Muslim women around the world. Not only are these Muslim women encouraging spiritual growth within their own tradition but also placing great value on interfaith friendships with women of diverse faiths, recognising our shared desire to grow closer to the divine and to one another as part of the same global body. I am inspired by the boundless passion, strength, and striking honesty of the women of faith I encounter who are challenging the status quo within their respective traditions and adding their voices to public discourse, as well as amplifying the voices of others. By sharing together we can learn from each others’ struggles, successes, as well as gaining deeper understanding of diverse traditions. We know that real change takes a long time and there are huge hurdles to overcome along the way, but when we take into account past achievements and the inspiring work happening in the present, we can take heart that it is well within our power to create a fairer, more inclusive world. by Sarah Ager, A selection from the upcoming Girl God Anthology, Whatever Works: Feminists of Faith Speak. Sarah Ager is an English teacher living in Italy. She describes herself as an ‘Anglo-Muslim hybrid’ having converted to Islam in 2011. She runs Interfaith Ramadan, an online interfaith initiative bringing together writers and contributors from different faiths and backgrounds during the month of Ramadan. As well as her passion for interfaith dialogue, Sarah writes about education, language, and Italian culture on her blog ‘A Hotchpotch Hijabi in Italy’. This post was originally published at The Girl God. Reprinted with permission. Leila Badawi, “Islam”, in Jean Holm and John Bowker, ed., Women in Religion (London: Pinter Publishers, 1994) p. 102. Aleem, Shamim. Prophet Muhammad(s) and His Family: A Sociological Perspective. (Bloomington: AuthorHouse, 2007) p. 130. Next articleIs Egg Freezing Really the Pro-Woman Solution?